Pricewaterhouse Coppers is a London based multinational professional services network, providing service in audit, advisory, accounting, tax, and legal services etc. They are world’s one of the largest professional service providers and has operations in 158 countries and has served over 420 companies out of 500 “Fortune 500” companies. We worked with PwC Norway. PwC approached Gture, partner of Nascenia, for solving some tax service related issues for their clients. A particular sector of clients to be exact – the fuel generator companies. Norway has lots of oil refinery companies that calculate their taxes manually. Currently, most oil refining companies in Norway calculate their tax in the manual process in spreadsheet. But managing data in spreadsheet is a cumbersome process, and difficult to keep track of data of long time. Besides, fuel-generating companies of Norway get a tax rebate for generating a certain amount of biofuel among their total fuel production. However, the production of biofuels is harder and more costly. Therefore, companies need to know the optimum amount they need to produce to avail the tax rebate. Besides, the fuel producers need to submit not only the annual production reports but also their monthly production updates to the Norweigian Tax Authorities. Initially, PwC developed a VBA-based Excel tool, which was used to calculate the quantity related to biofuel. It could also identify the remaining required quantities to meet governmental bio mandate requirement. That VBA-based Excel tool prepare reports monthly as well as annually. It also merges the excise duty and sustainability criteria and produces a combined report. And it is considered as the final output of the system. However, the excel tool got very complicated over time and it lacked the opportunity of automatic update and collaboration. Nascenia was there to assuage their pain. After having several meetings with PwC, Nascenia suggested that the most effective and relevant solution would be to convert the VBA-based Excel tool to a web application. The proposed PwC web application will be the online version of the existing system. 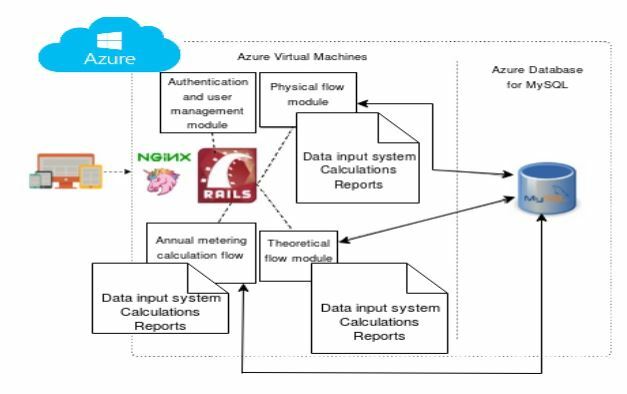 The proposed solution will be a cloud-based web application – working on the same business logic and calculation of the prevailing VBA-based Excel tool, However, all those estimations can be done more accurately. In a view to achieving the goal, the programmers of Nascenia started their work. Getting acquainted with the concept of the system. It is an excessively complex system, with step by step large calculations. Without actually understanding the underlying concept of the system, it was very difficult to work on the project. We went through the documents provided by the client and studied them thoroughly. A good amount of time was invested to understand the project concept. In order to reduce the gap between our understanding and the client’s requirement, we followed a different approach while developing the system. As soon as the development task of any feature was completed, we asked the client to check if the developed feature was in line with their requirements. We did not wait for the testing to be completed from our side. Rather when that was being done from our end, we asked for their compliment as well. Thus the time for feedback and their corresponding inclusion in the project reduced a lot. Since the scope of requirements started varying by a great margin, we started to follow the Scrum methodology, an agile way to manage projects. We started estimating the tasks after breaking them down and including those estimated tasks in 2-weeks sprints. We maintain clean code, we used various code analyzers and code formatter like rubocop, slim-lint etc. We also followed the process of reviewing pull requests of fellow developers. We reviewed the code and made suggestions for further improvement, where necessary, before merging the code. We engaged a Software Quality Assurance team from the very beginning of the work. That team ensured that, the formulas of the excel matches with the application we built with all sorts of permutations and combinations. Nascenia helped over 100 companies to make their software across 20 countries of the world. If you’re interested in learning more about our works, check out our case studies. Also drop us a message if you want to find the perfect solution for your application. We’ll help you to make the right choice.